The Hear and Say Centre for Deaf Children was promoted this month in a television campaign featuring seven deaf children listening to a song by British band, Lamb. 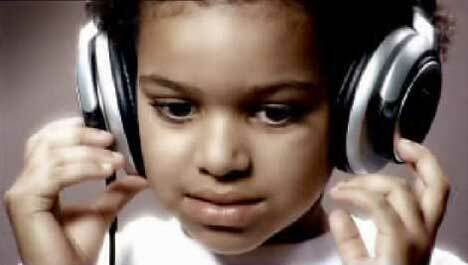 The ad begins with a child listening on headphones – hearing nothing. And then the voice of Louise Rhodes, “What is that sound ringing in my ears?” One by one we see each of the seven children responding to what they can hear. The text: “All of these children were born deaf. Hear and Say Centre for deaf children and their parents. Hearing is Believing.” The ad finishes with the first child saying, “I like it”. The creative team behind the ad works at advertising agency McCann Erickson, Brisbane was creative director & writer Rem Bruijn, art director Lance Gay and agency producer Marnie Farrow. The ad was directed by Gerard Lambkin and produced by Keri Grant at Zoom Film & Television, Brisbane. Zoom hosts the spot as an 8.58 mb quicktime video. Post production was carried out at Cutting Edge Post by editor Matt Bennett with online work done by Antony Newton and Telecine by Wade Odlum. Sound was designed by Ross Batten and Pete Jones. The mission of the Hear and Say Centre is to enable families to teach their children who are deaf or hard of hearing to listen and speak, using Auditory-Verbal Therapy. The Centre aims to integrate children who are deaf or hard of hearing into the hearing and speaking community and their local school at the earliest possible time. Dimity Dornan, an experienced speech pathologist, founded the Centre in Brisbane, Queensland, in 1992 with six children. The Centre has now grown to provide a service for over 125 children and their families each year. The Centre, based in Brisbane, now has regional centres in North Queensland, the Darling Downs, the Sunshine Coast, and the Gold Coast. The soundtrack is the title track from Lamb’s third album, “What Sound”, first released internationally in 2001. Lamb is the electronica/jazz duo of Louise Rhodes (voice) and Andrew Barlow (DJ) known for their single, “Gabriel”. They can be found online at www.lamb.tv. that neither one can hide. that part was long since dead. who’ll make it beat again. I’ve heard for years and years.